Reproduced here courtesy Michael Meyer's Ebay sales, his latest selection includes some interesting views of Me 110 G-2 twins belonging to II./ZG 1 seen running up their engines some time during August/September 1943 when the Gruppe was based on the French Atlantic coast at Brest. 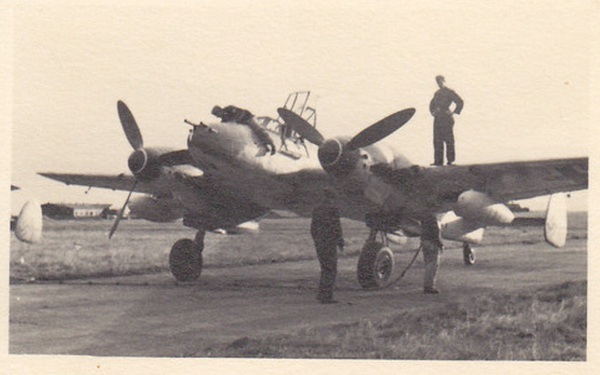 Sorties were flown out over the Bay of Biscay. 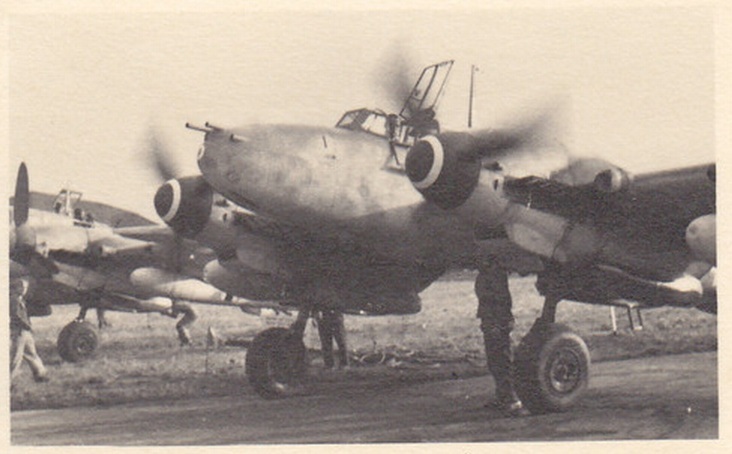 On 8 October 1943 machines from II./ZG 1 were caught by Spitfires some 200 km north-west of Brest and no fewer than six Bf 110s were shot down. Staffelkapitän of 6./ZG 1 during this period and then Gkr. II./ ZG 1 from October 1943 was RK holder Oblt. Egon Albrecht. Albrecht was KIA less than a year later, also in France, as Gkr. 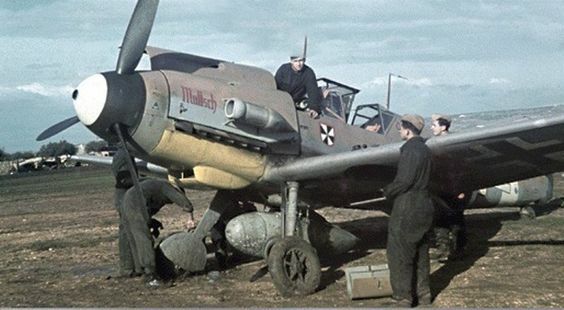 of the short-lived III./ JG 76, a unit that was established during May 1944 by the expedient of retraining Bf 110 pilots on the Bf 109..
Below; Me 110 G-2 of 4./ZG 1 most probably photographed in Trapani, Sicily during May 1943. Left of the picture is the BF Uffz. 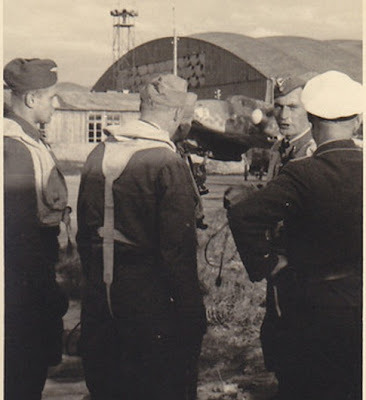 Januk, a member of Staffelkapitän Oblt Hubertus Huy's crew. The lower view is a rare pic of 5./ZG 1 Staffelkapitän Hptm. 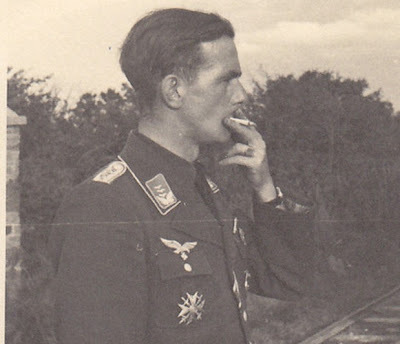 Rudi Wangner also seen on Sicily during spring 1943. Wangner was KIA on 27 June 1944 in the vicinity of Budapest..